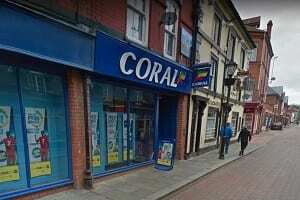 Here you can find details of the local Coral betting shop in Wrexham which is located at 4 Chester Street. We have provided the latest offers from the brand as well as a handy map showing its location to make it easy to find. Below is a map listing which shows where this particular shop is located. You can use this to plan your visit and find all other local amenities which are close to the bookmakers. 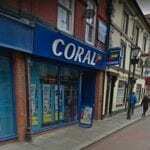 Check out the list of Coral shops in the UK here to find more in different areas. Here you can see some photos of the shop itself which is located close to many other shops and restaurants. 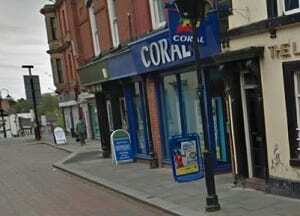 Many people like to visit the Coral bookmakers when betting on their favourite sports and events. We do not have exact opening times for this branch, however it is open 7 days a week at various times. It is best to call the store yourself and ask when they will be open if you are unsure. 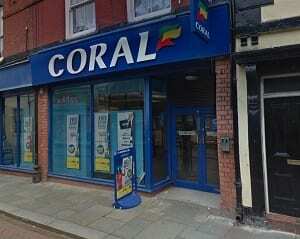 Coral Racing Ltd is a licensed Betting Shop located at 4 Chester Street in WREXHAM LL13 8BD. The license status: Grant by Wrexham County Borough Council. At the 2011 Census, Wrexham had a population of 61,603, the fifth largest urban area in Wales. Wrexham has applied for city status three times since the turn of the 21st century, in competitions to mark the new Millennium, and for both the Queen’s Golden and Diamond Jubilees. In March 2012, it was announced that Wrexham had again missed out on city status as the community of St Asaph, which was previously a city, was granted city status. Wrexham was the site of the headquarters of the Football Association of Wales from its formation in 1876 until relocation to Cardiff in 1991. 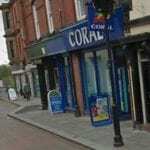 It’s easy to bet on football matches using Coral either online or in your local shop. Until the end of 2016 the Racecourse stadium was home to the North Wales Crusaders who currently play in League 1 – the third division of the sport in Britain. In 2011 North Wales were created following the folding of the European Super League club Crusaders Rugby League. The Racecourse Ground has in the past also served as the secondary home of the Scarlets, one of the four Welsh professional rugby union sides that compete in the Pro14. The Wales rugby union team have also played there on occasion. You can find out about the bet types here. Wrexham is also home to rugby union team Wrexham RFC, a team affiliated to the Welsh Rugby Union. In 1931 nine northern Welsh clubs met at Wrexham to form the North Wales Rugby Union, Wrexham RFC were one of the founders. Rhos Rugby Club, one of Wrexham RFC’s main rivals are also based just outside the town in the village of Rhosllanerchrugog. Rhos now have grown to match Wrexham’s quality, making the rivalry even more intense than in previous years. If you are interested in placing bets on rugby union, make sure to check out the best rugby union bet sites.